This cute card has a frog with a moving mouth inside. The instructions look long, but it's just because I've shown every step in great detail. 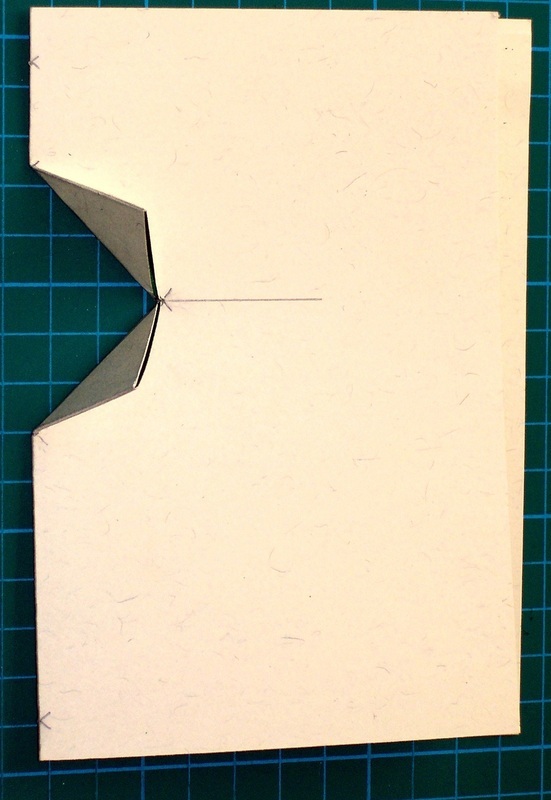 Print out the template onto a light coloured piece of A4 Card. Open the pdf document (below) and print. 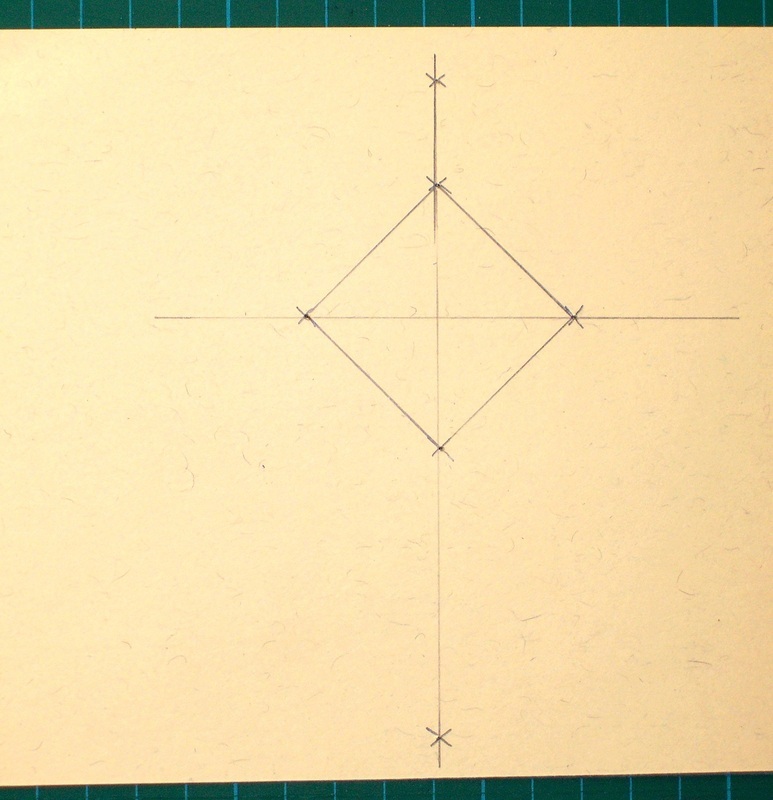 The template prints to A4 size paper. 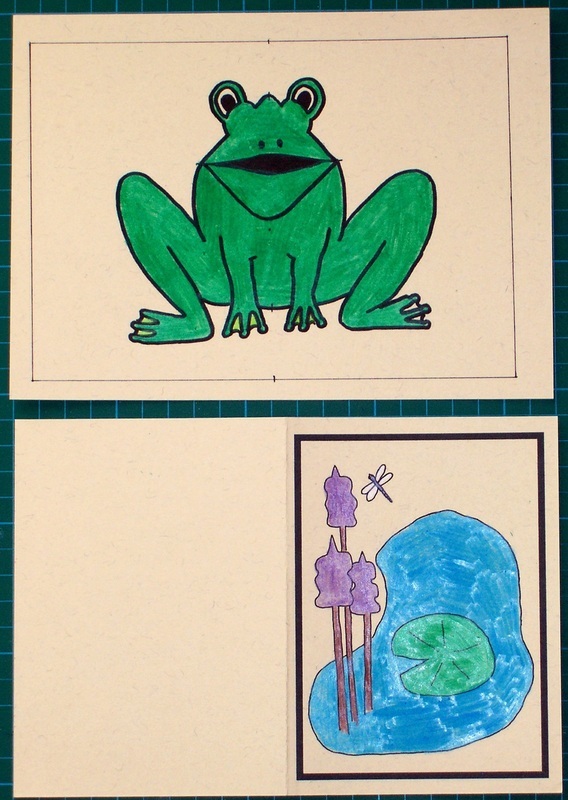 Colour in the frog and Pond scene. Then cut the paper in half above the pond scene so that your card base and inside image are now on different pieces of card. When you cut, leave an EVEN BORDER around the pond scene frame (as shown). 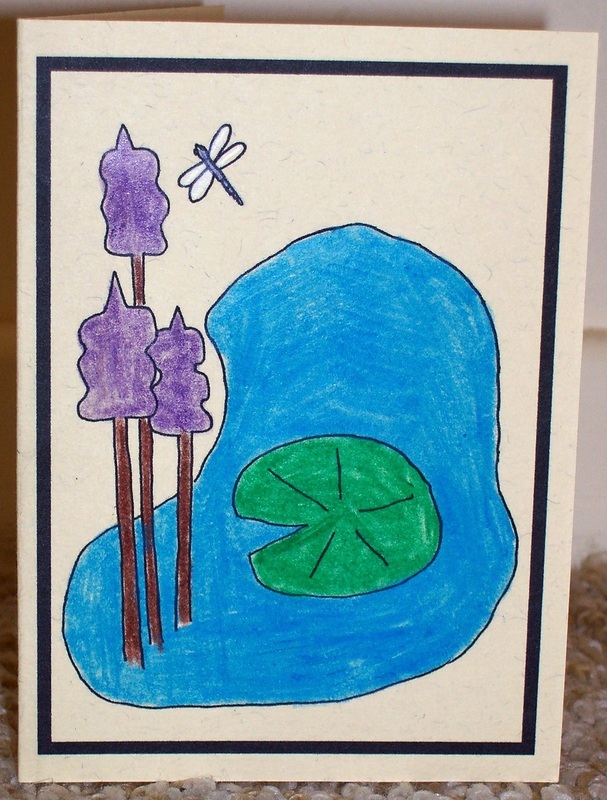 Fold the piece of cardboard with the pond scene in half, creating your card. Small lines have been drawn crossing the darker lines to indicate where to place your holes. These holes will help you determine where to cut on the back of the image. Pierce two more holes at the points on the border around the frog, as indicated in the image to the right. Turn the frog picture over. Using a pencil and ruler draw the cross and diamond created by the pin holes. (see image on right) - I have put a small pencil cross over each of the pin holes so you can see their position. 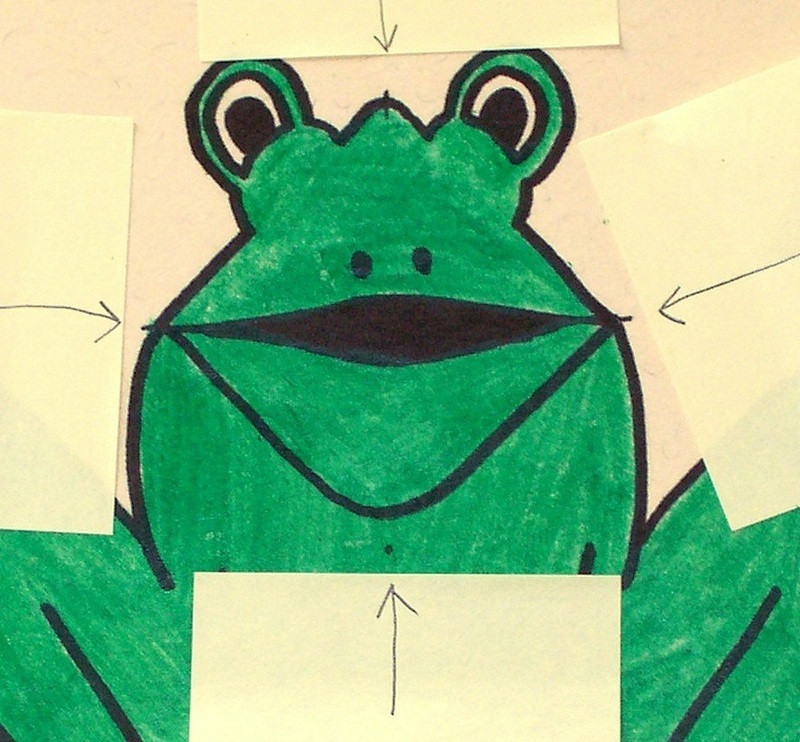 Fold the card down the vertical line (This symmetrically folds the frog in half on the other side). 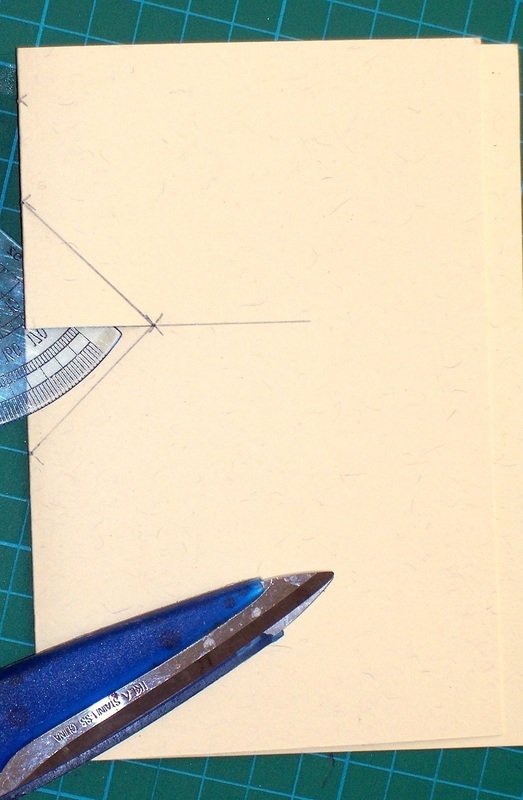 Using scissors, cut along the horizontal line you marked cutting from the folded edge into the card to the edge of the diamond. This cut will be approximately 2.5cm long. I have placed a protracter through the cut so you can see where it is in the photo. 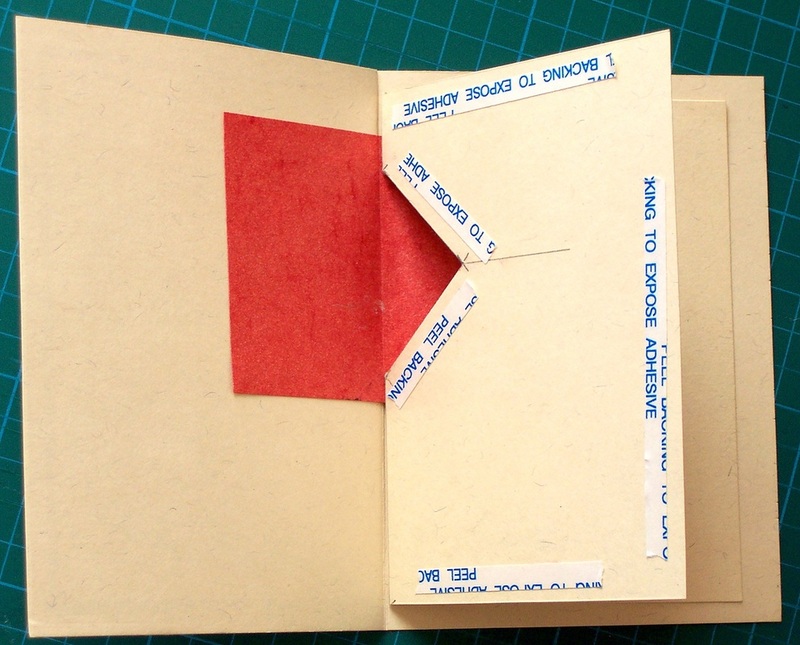 Fold the card from the end of the cut. 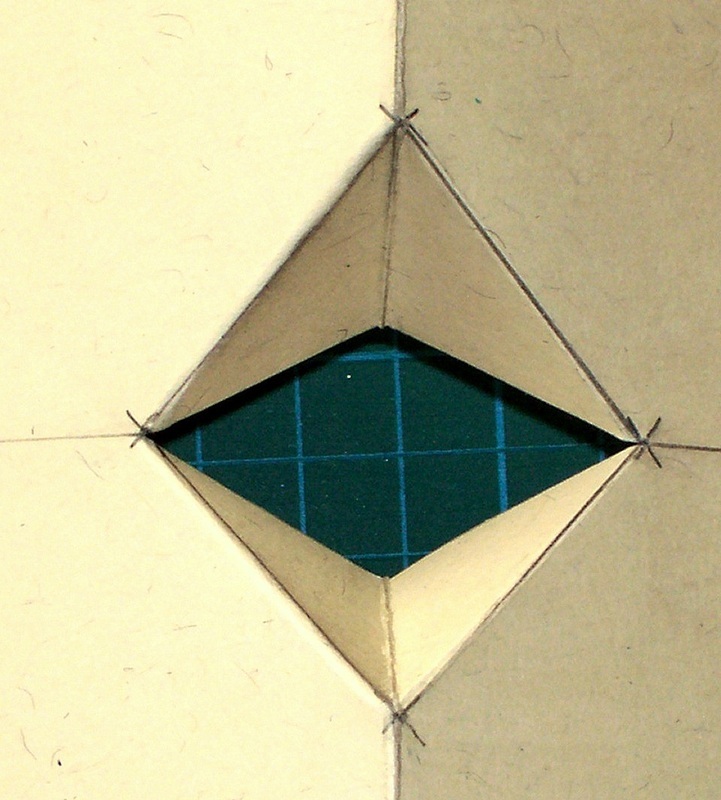 The fold lines run along the sides of the diamond (see picture on right). 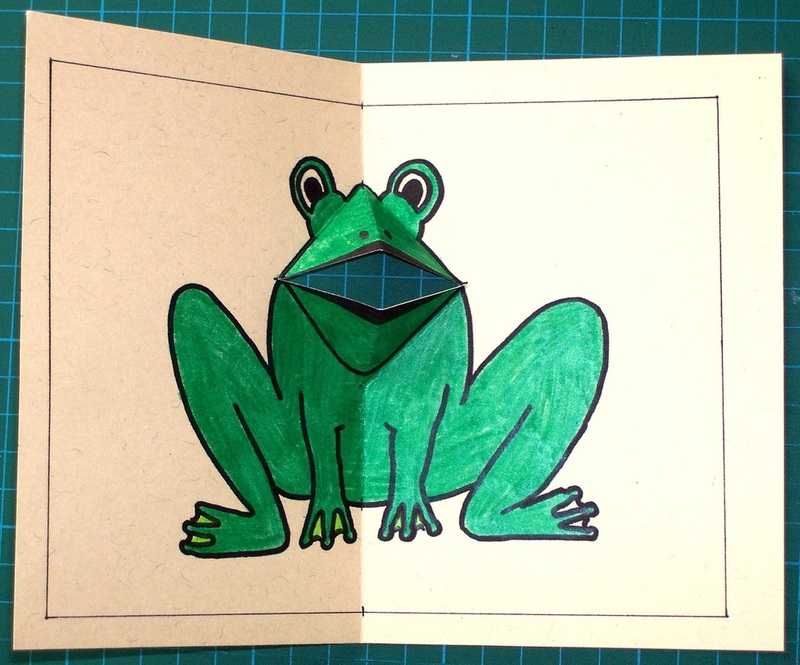 Open out the card, and using the folded lines as a guide, push through the folded card to form the frogs mouth. 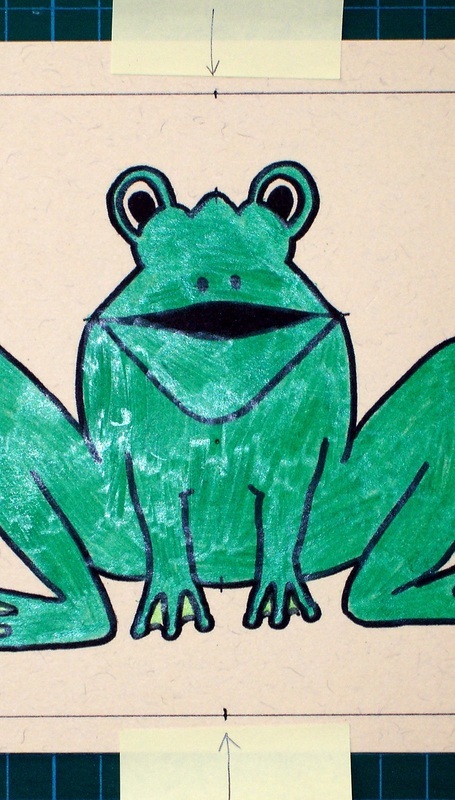 Trim the frog picture to the size of the drawn border. 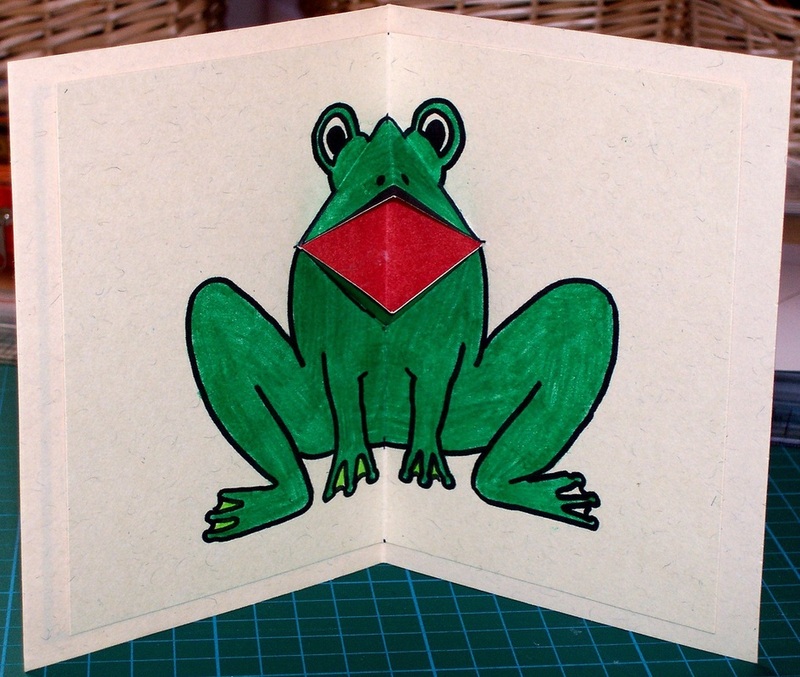 Place it inside your card to work out where you will need to paste the red paper that will be behind the mouth of the frog. 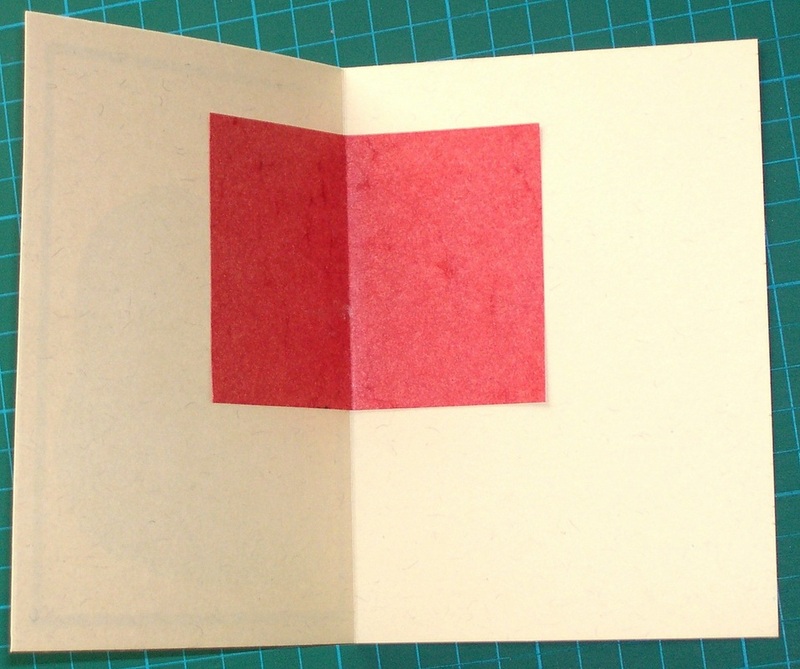 Paste the red paper onto the inside of your card, (where you determined it should be placed). Use double-sided tape or glue. 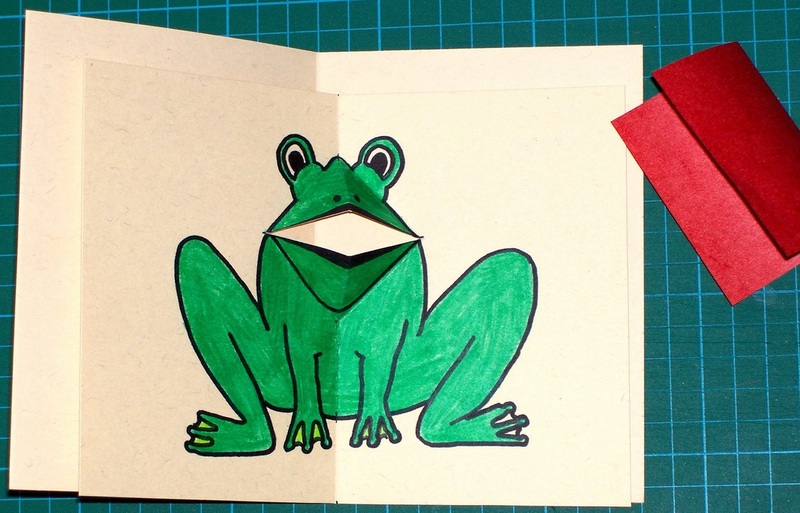 Use double-sided tape (recommended) or glue to paste the frog into the centre of your card. 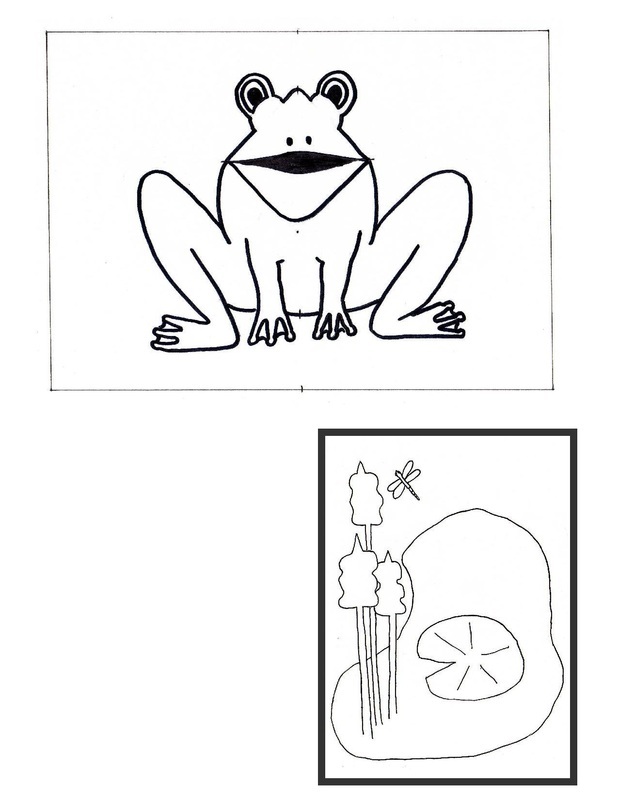 It is best to do this one side at a time, making sure that the frog is fitted snugly into your card. Open and shut the card to see your frog croak! !